Neil Young has announced he will now be doing a second Vancouver show. After his May 15 concert in the city quickly sold old, Young has added another show on May 14 at Vancouver's Queen Elizabeth Theatre. Once again, it will feature an opening set from Elvis Costello, and both the artists will be playing solo sets. Tickets were previously available exclusively to subscribers to Neil Young Archives, but general public stubs will go on sale at 12 p.m. local time on Monday (April 15). In a press release, Live Nation added, "Strict ticket limits and delivery procedures are in place for this event." 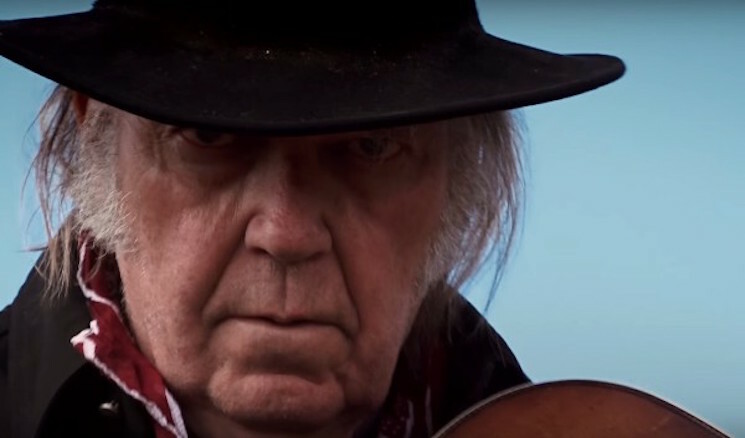 As previously reported, Neil Young will play a pair of overseas dates with Bob Dylan this summer. Young also has a series of West Coast dates scheduled for the U.S., and you can see the full schedule here.